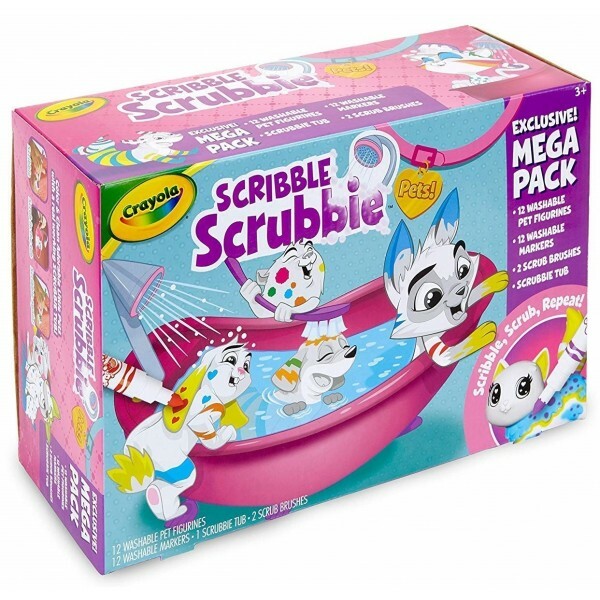 Color and re-color twelve adorable pets with this giant set from Crayola! 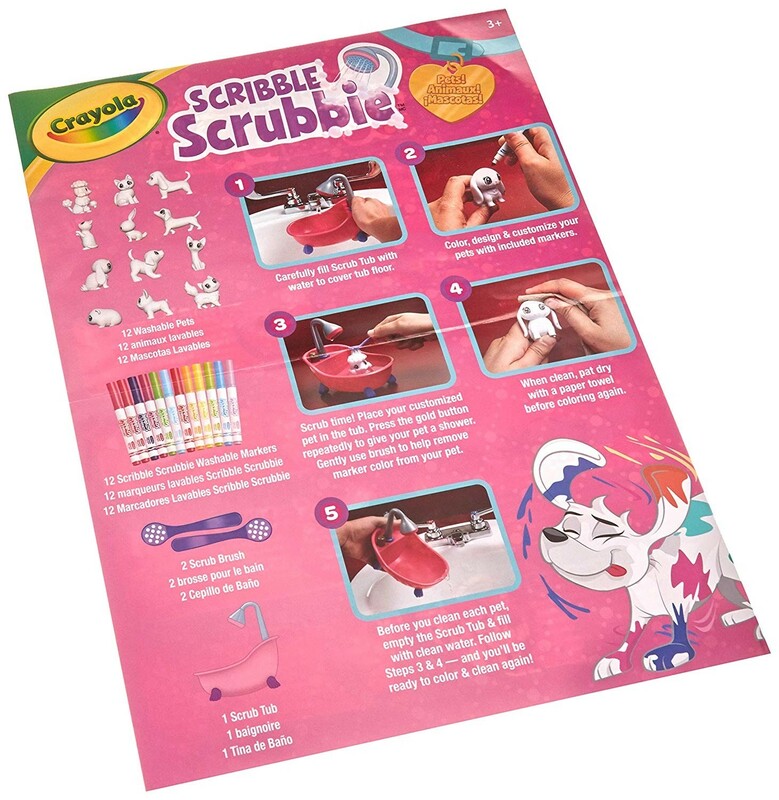 The Scribble Scrubbie pets are little flocked figures that kids can color with the included Crayola markers. Decorate them however you please — and when you want to change them up, give them a quick clean in the Scrubbie tub and you can start over! 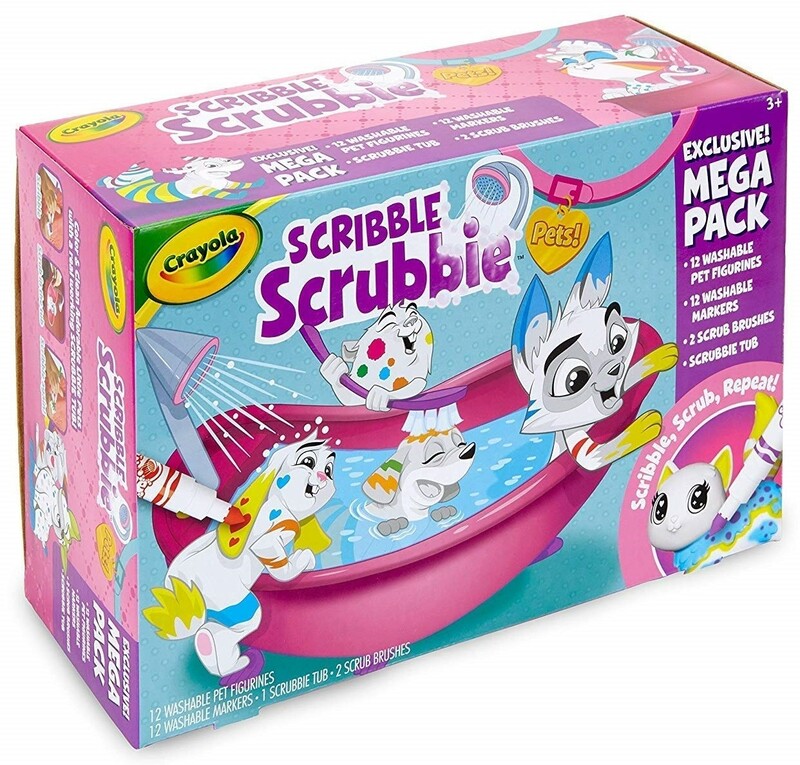 This set includes five dogs, four cats, one hamster, and two rabbits, plus twelve markers, the Scrubbie tub, and two scrub brushes to get your Scribble Scrubbies gleaming. 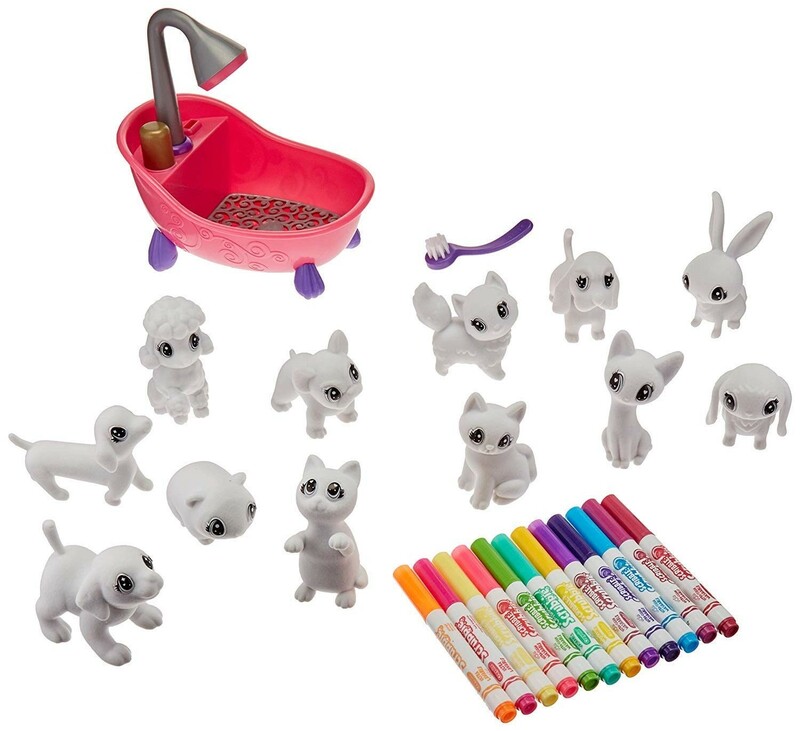 For more toys to encourage artistic creativity, visit our Arts and Crafts Collection.